I graduated from Baldwin County High School in 1989. I then attended Faulkner State Community College from 1989 to 1991 and received an Associates degree in Science with an emphasis in math. I received my Bachelor's of Education from Troy University with a double major in Math and English. I also received my Master's in Math Education from Troy University. I have been teaching at Goshen High School since 1998. Before I found my home at Goshen High, I taught at several other schools. I also teach as an adjunct teacher at night at Troy University. Hello and thank you for visiting my webpage. 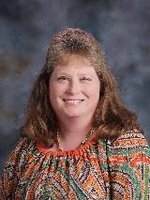 I am currently in my 18th year of teaching math at Goshen High School and I am also the department chairperson. Since I began teaching here in 1998, I have taught every math class from seventh grade to Algebra II with Trigonometry. I am originally from Bay Minette where I graduated from Baldwin County High School in 1989. I then attended Faulkner State Community College from 1989 to 1991 where I received an Associates Degree. I then transferred to Troy University in the summer of 1991 to begin my degree in Math and English Education. While at Troy, I met my husband. We have been married for 24 years and have three children: Richard, Ashley, and Kristian. Richard is a Graduate Assistant at Delta State College in Mississippi where he is working with the baseball team and earning his graduate degree. Ashley is a freshman at Troy University and Kristian is a student at McKenzie High School. I taught in a couple of different schools before finding my home at Goshen. My students always ask me why do I drive all the way from McKenzie to Goshen to teach. I tell them that I like the people I work with, teachers and students. For the most part, we have a very good student body. The students here at Goshen make the drive worth it all.